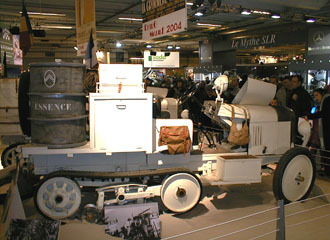 For the 29th time, Paris hosted the annual R�TROMOBILE, one of the largest and best classic car shows in Europe. This year's theme The Adventure of Travel exhibited many history making vehicles, which where used in the 20s and 30s to explore remote and exotic places and continents. 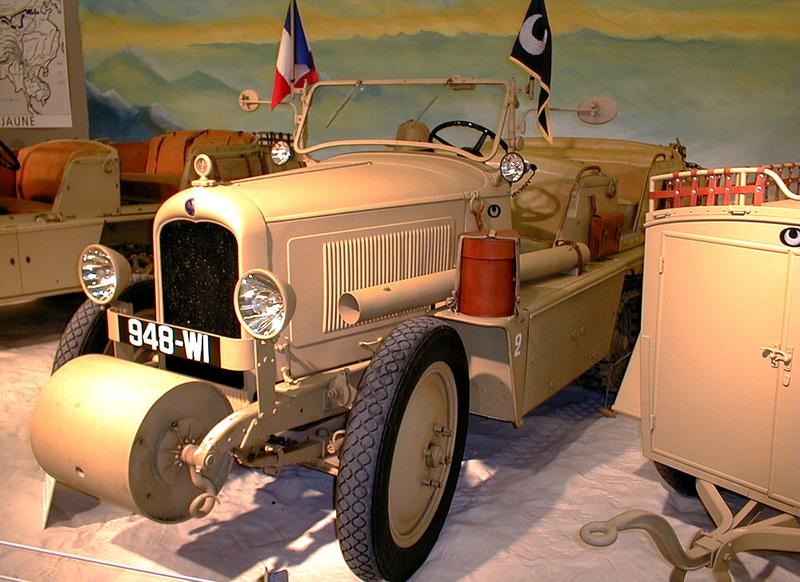 Citro�n's legendary excursions to the black and yellow continents - the Traversée du Sahara of 1922/23, the Croisière Noire of 1923/24 and the Croisière Jaune of 1931/32 were prominently commemorated with several displays. Reconstruction of the 1922 Citro�n P2. 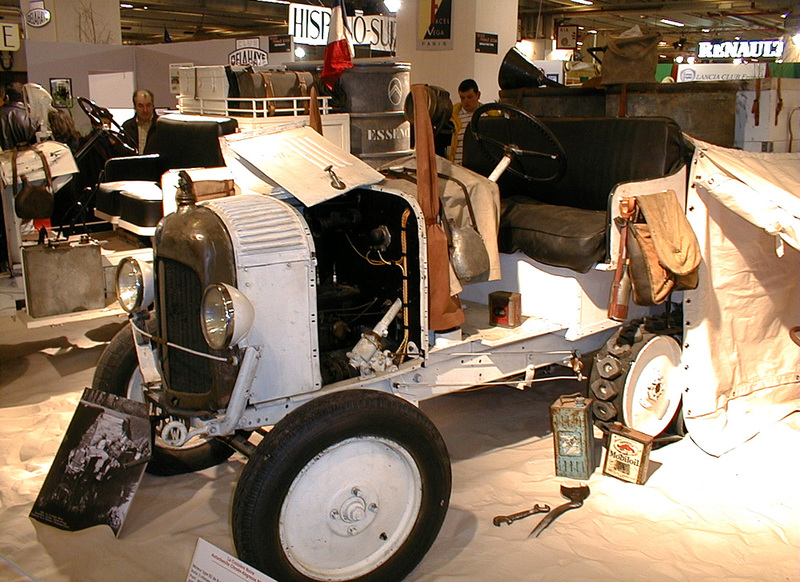 In 1922, Andr� Citro�n was convinced that it would be possible and beneficial to cross the sahara by automobile - and history was to prove him right. After World War I, the prospect of a direct link between mainland France and Equatorial Africa appealed to settlers, the military and the scientific community alike. On December 17th, 1922 a team of 10 people - including several army officers and a geographer - and 5 Citro�n P2 half-tracked vehicles, led by Georges-Marie Haardt and Louis Audoin-Dubreuil, left Touggourt, Algeria en route to Timbuktu, Mali. After 20 days of strenuous and eventful traveling in one of the most inhospitable regions on the planet the expedition arrived there on January 7, 1923. 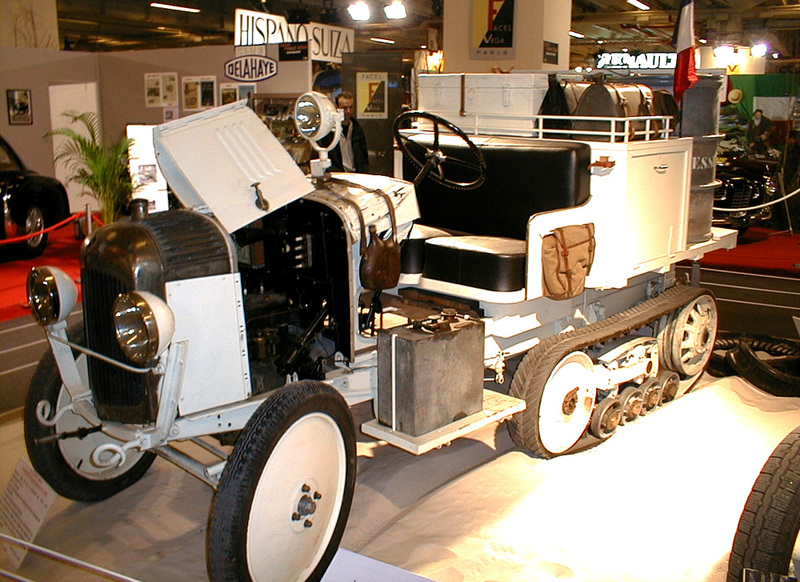 The successful design - utilizing endless rubber treads, allowing the vehicles to drive off-road over various forms of terrain - was the brainchild of a talented engineer by the name of Adolphe K�gresse. 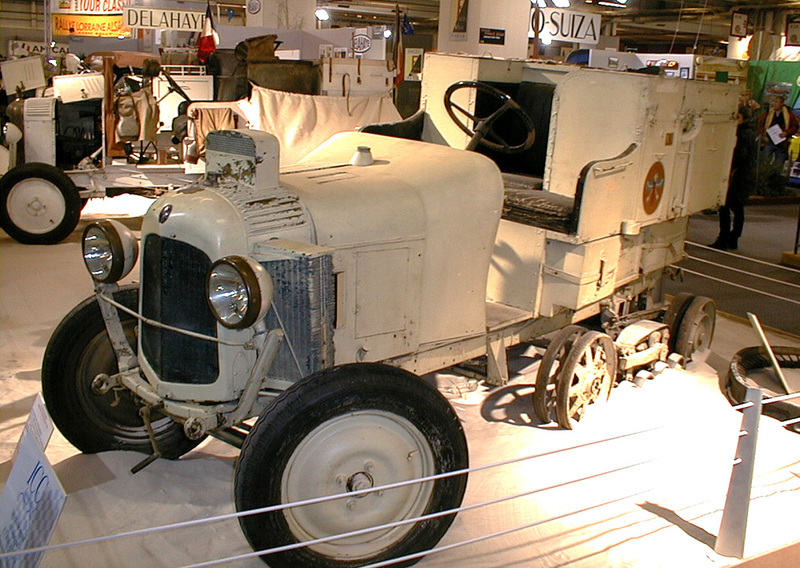 Citro�n produced these types of vehicles from January 1921 onwards. 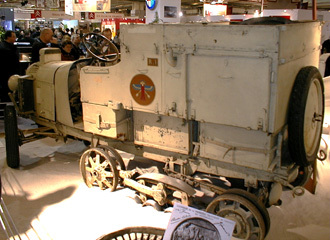 Problems with the track propulsion were common - more than once the team had to stop for repairs. 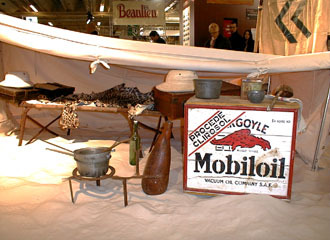 Some of the items carried on the first crossing of the Sahara by automobile. After crossing the Sahara two years earlier, Georges-Marie Haardt and Louis Audoin-Dubreuil would lead another Citro�n expedition. This time nothing short of crossing of the African or Black continent would be the objective. It would take more than one year of preparations, and the unanimous enthusiasm among the public, the scientific, and business circles to make the Black Cruise a reality. Eight half-tracks of the refined type P4, fitted with the K�gresse propulsion device of rubber tread, would embark on the 28,000 kilometer journey across Africa. The starting point was in Colomb-Bechar. From there his team crossed Algeria, Niger, Chad, Oubangui-Chari and the Belgian Congo. In Kampala, their column split into four groups and reached the Indian Ocean and Tananarive, each taking a different route - towards Mombasa, Dar-es-Salam, Mozambique and the Cape. They received an enthusiastic welcome wherever they went. 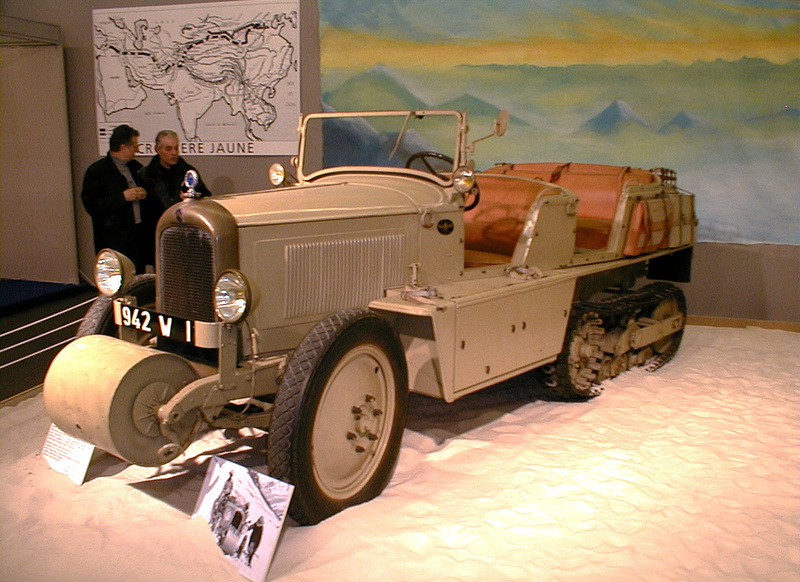 Citro�n P4 from the 1924/25 expedition. names like "Centaurus" and "Pegasus" or "Golden Beetle"
Since there were no gas stations along the route, the Essence - French for gasoline - had to be carried in sufficient supply. The Citroen P17 was especially designed for extreme cold. As early as 1928, Georges-Marie Haardt dreamt of opening up the "Silk Road" - the legendary route which was used for trade between China, Persia, Arabia and Europe - to the automobile. Enthusiastic as in the cases of the previous two excursions, Andr� Citro�n decided to finance the project as well to the largest part, which would need several years of preparation and planning. 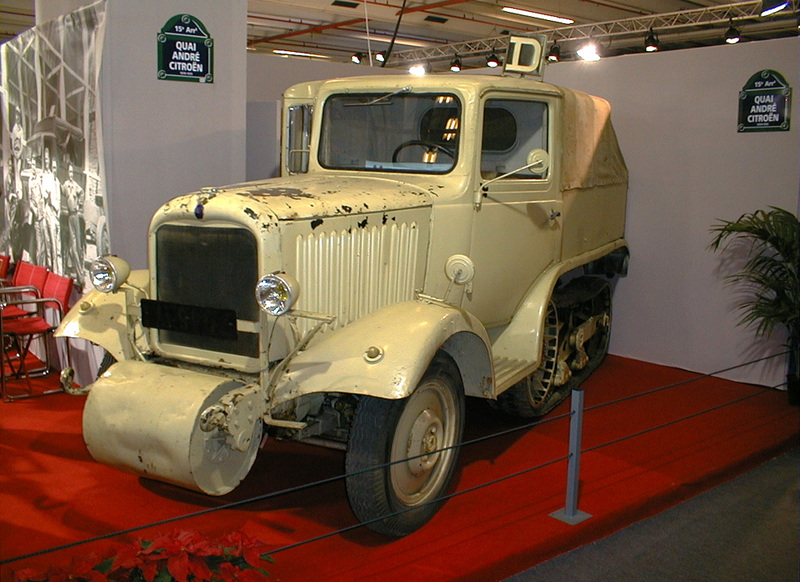 Given the distance of the Black Cruise with 28,000 kilometers, the 30,000 to be covered by the La Croisi�re Jaune or Yellow Cruise, leading from Beirut to Peking (Beijing), do not seem to be much more demanding to man and machine - the route instead would include much more demanding terrain than the African continent presented. Driving through Russian Turkestan, Sinkiang and the Gobi Desert up to the Yellow River, political uncertainties - firstly in the USSR and then in Afghanistan - led to a change in the itinerary, and forced the team to cross Kashmir - 15,000 feet above sea level. This ultimately led to the idea of splitting the expedition into two groups to increase the chances of success. One was to leave from Beirut and attempt to climb through the Himalayas (the Pamir group) - and the other would set out from Tien Tsin (the China group) in opposite direction and attempt to meet each other. After experiencing several dangerous adventures in strife-torn countries, and even being taken hostage by a war lord for 3 months, the Pamir group, which consisted of 24 people and six Citro�n Kegresse P17 especially fitted to cope with the extreme cold, made it to Aksu on October 8th 1931. The China group had been waiting there already for several days. 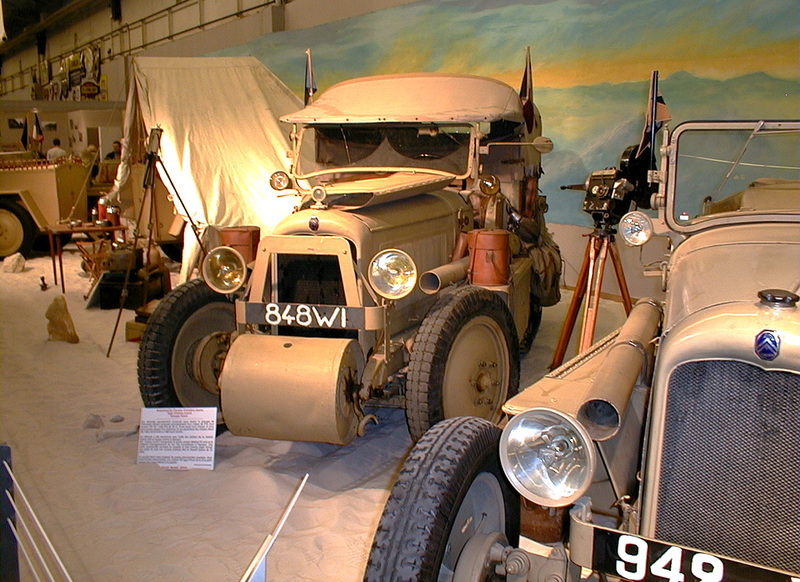 Both groups then set out together on the road to Beijing, where they arrived on February 12th 1932. The teams received an enthusiastic reception. Unfortunately, Georges-Marie Haardt was never to return to France - exhausted, he went down with influenza and died in Hong Kong on March 15, 1932. 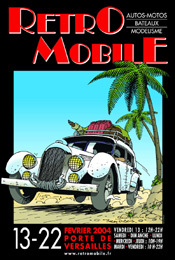 His death brought a sudden end to the successful history of expeditions with Citro�n automobiles. A total of twelve Citroen P17 divided in two groups went on the Yellow Cruise for nearly a year. The drum in the front was a feature unique to the Citroen P17 - it improved traction in deep snow and protected the undercarriage from boulders and stones.